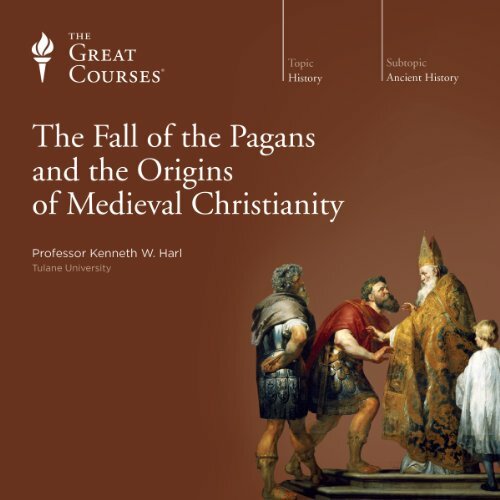 Showing results by narrator "Kenneth W. Harl"
As raiders and explorers, the Vikings played a decisive role in the formation of Latin Christendom, and particularly of western Europe. 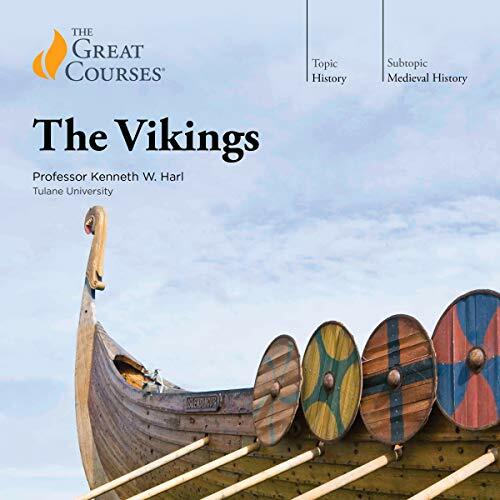 Now, in a series of 36 vivid lectures by an honored teacher and classical scholar, you have the opportunity to understand this remarkable race as never before, studying the Vikings not only as warriors, but in all of the other roles in which they were equally extraordinary - merchants, artists, kings, raiders, seafarers, shipbuilders, and creators of a remarkable literature of myths and sagas. Alexander the Great-one of the most renowned figures in antiquity-has inspired everything from medieval romances to blockbuster movies, and military leaders from Julius Caesar to Napoleon to the U.S. general Norman Schwarzkopf. But who was this great king of Macedon? And why is he so legendary? 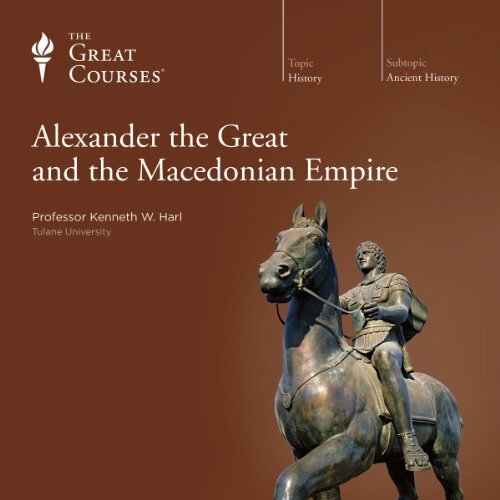 These 36 spellbinding lectures take you deep inside the world of Alexander to witness the astonishing feats of military genius that made his name renowned for millennia after his death. What were the forces that led to one of history's most protracted and legendary periods of conflict? How did they affect the three great civilizations that participated in them? And, ultimately, why did they end and what did they accomplish? 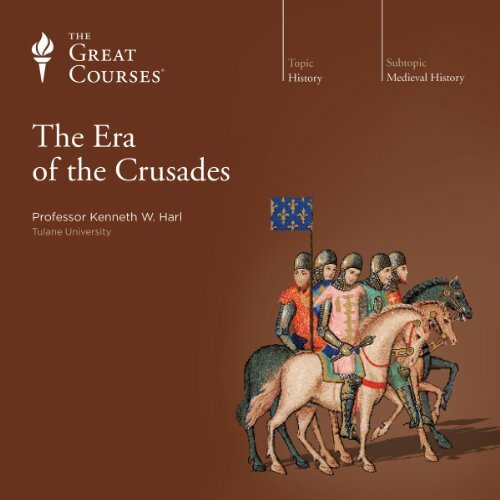 In these 36 lectures, you'll look at the "big picture" of the Crusades as an ongoing period of conflict involving Western Christendom (we would now call it Western Europe), the Byzantine Empire, and the Muslim world. 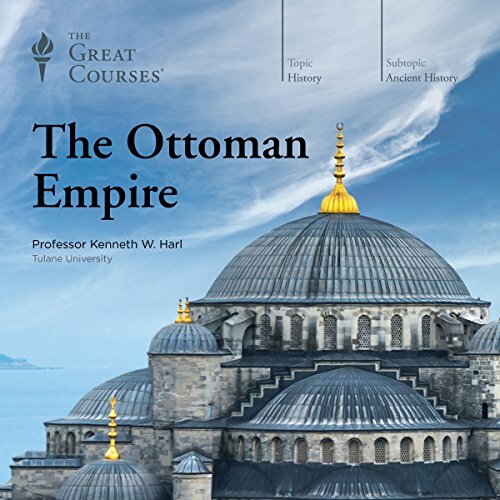 By understanding the dramatic story of the Ottoman Empire - from its early years as a collection of raiders and conquerors to its undeniable power in the 15th and 16th centuries to its catastrophic collapse in the wreckage of the First World War - one can better grasp the current complexities of the Middle East. Befitting a story of such epic scope and grandeur, every lecture is a treasure trove of historical insights into the people, events, themes, and locales responsible for shaping the story of this often-overlooked empire. The history of the Romans as they advanced the frontiers of Classical civilization is often told as a story of warfare and conquest-the mighty legions encountering the "barbarians." But this only tells one side of the story.Who were the Celts, Goths, Huns, and Persians met by the Romans as they marched north and east? What were the political, military, and social institutions that made Rome so stable, allowing its power to be wielded against these different cultures for nearly three centuries? The Peloponnesian War pitted Athens and its allies against a league of city-states headed by Sparta. The ancient Greek historian Thucydides captured this drama with matchless insight in his classic eyewitness account of what was arguably the greatest war in the history of the world up to that time. 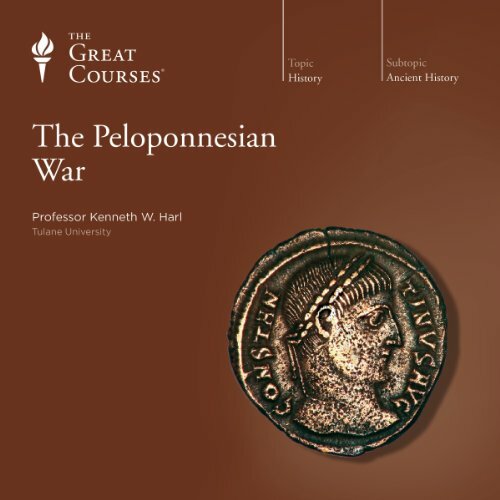 These 36 half-hour lectures draw on Thucydides' classic account as well as other ancient sources to give you a full picture of the Greek world in uneasy peace and then all-out war in the late 5th century B.C. Explore the dramatic interaction between Judaism, Christianity, and paganism in Rome from the 1st to the 6th centuries. Why did pagan Rome clash with the early Christians? What was it like to be a Jew or a Christian under Roman law? And how did Christianity ultimately achieve dominance in the Roman Empire?Over the course or 24 lectures, Professor Harl enables you to grasp the full historical sweep of this critically important era and its key figures. 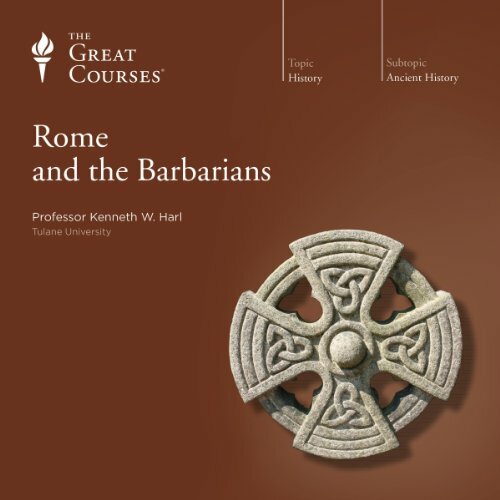 The word "barbarian" quickly conjures images of Attila the Hun and Genghis Khan. Yet few people realize these men belong to a succession of nomadic warriors who emerged from the Eurasian steppes to conquer civilizations. It's a part of ancient and medieval history that's often overlooked, but for an accurate view of how the world evolved, it's essential. 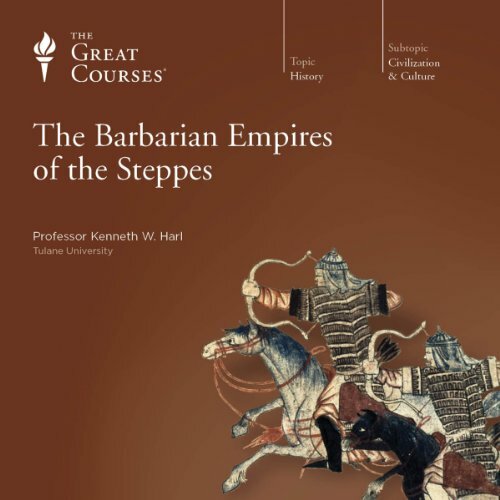 Covering some 6,000 miles and 6,000 years, this eye-opening course illuminates how a series of groups pushed ever westward, coming into contact with the Roman Empire, Han China, and distant cultures from Iraq to India. 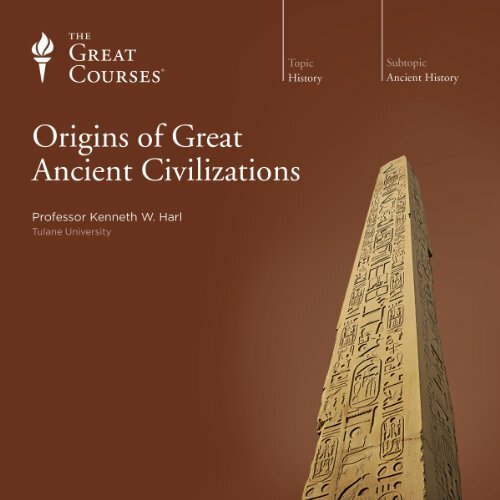 Embark on an unforgettable trip into the historical glories of the past with these 24 lectures that immerse you in the history of an often overlooked region of the ancient world. 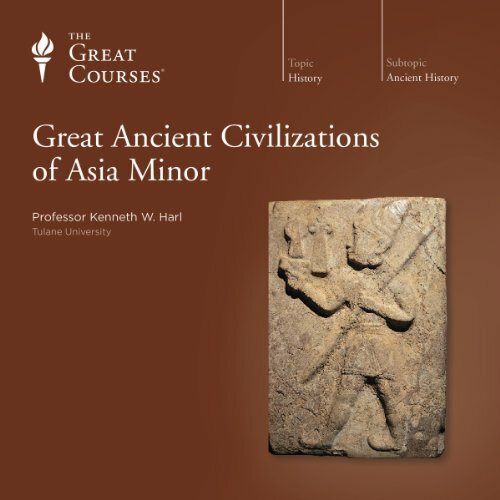 With Professor Harl as your guide, you'll plunge into the history of Asia Minor's great ancient civilizations and come face to face with eye-opening historical milestones. 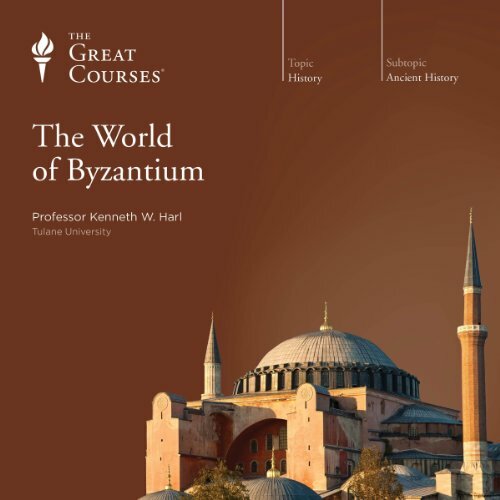 Among these: the rise of the Hittites, the legendary Trojan War, the birth of Western philosophy, the fiery Greek and Persian Wars, the victories of Alexander the Great, the dawn of the Hellenistic Age, the spread of early Christianity, the golden age of Byzantium, the birth of the Ottoman Empire, and much more. Byzantium is too-often considered merely the "eastern rump" of the old Roman Empire, a curious and even unsettling mix of the classical and medieval. Yet it was, according to Professor Harl, "without a doubt the greatest state in Christendom through much of the Middle Ages," and well worth our attention as a way to widen our perspective on everything from the decline of imperial Rome to the rise of the Renaissance. Locales like Mesopotamia or the Indus Valley, peoples like the Hittites or Assyrians, or rulers like Sargon, Hammurabi, and Darius are part of a long-dead antiquity, so shrouded with dust that we might be tempted to skip over them entirely, preferring to race forward along history's timeline in search of the riches we know will be found in our studies of Greece and Rome.